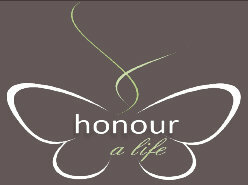 'Honour a Life’ was created by Civil Celebrant Rebecca Brady, who has a passion for people, their lives, their stories and their wishes. To capture and honour someone’s life in a short amount of time, is an intuitive art. From Rebecca, it takes experience, compassion, empathy & understanding. Asking the right questions and listening whole heartedly, while respecting that this is a difficult time for you, ensures that Rebecca will learn everything possible about your loved one to create a meaningful ceremony.